24-7 Press Release Newswire offers affordable, effective press release distribution to businesses of all sizes looking to boost awareness of their brand, product, service or promotion. 24-7 Press Release Newswire has been a leader in affordable press release distribution since 2004. 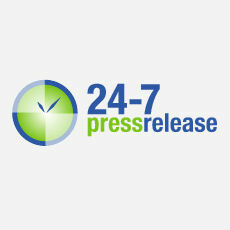 24-7 Press Release Newswire is a simple to use PR tool for any company. Content providers or marketers upload a press release to the 24-7 system, and it automatically gets distributed to traditional media, online media and social media channels.